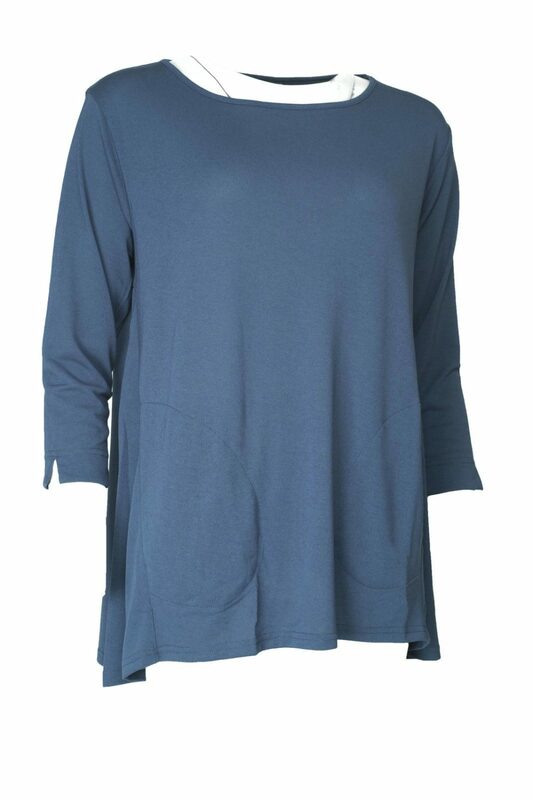 Simple and classy, this Brisa top comes in a beautiful shade of blue. Katie Kerr Masai Brisa top in a lovely teal blue colour has a high cut neckline with ¾ length notched sleeves. 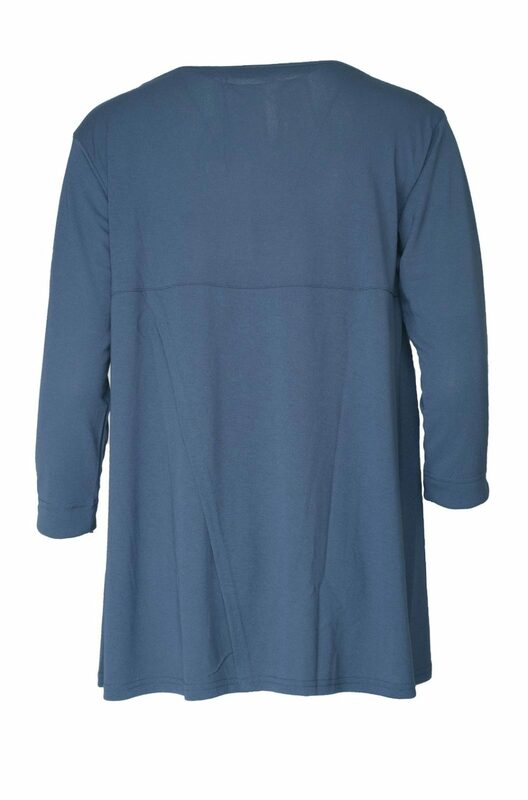 It is A shaped and a loose fit with side pockets. The back has a split for extra style. 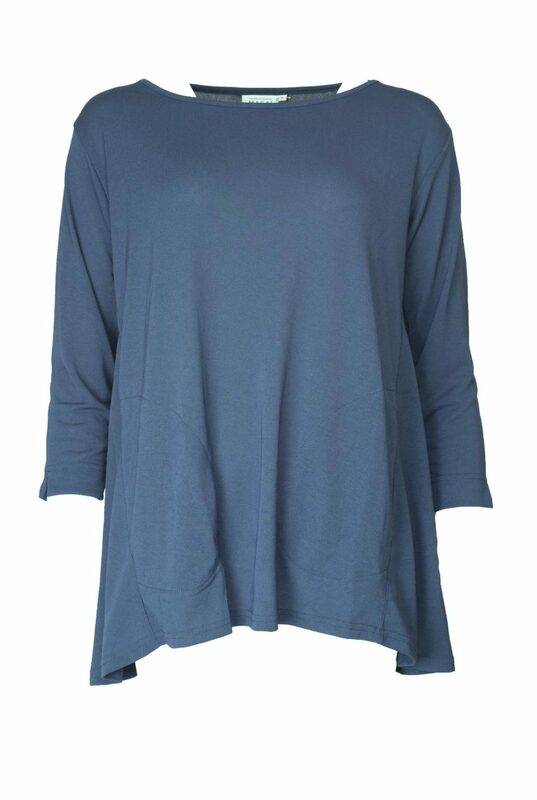 This top is super worn with a straight black skirt and dressed up for an occasion or worn with jeans for casual wear.